Researchers have discovered even more evidence that water was once present on Mars, with a new study on data from the red planet suggesting that a giant tsunami roared over its surface some 3 billion years ago. The tsunami was caused by an asteroid plunging into an ocean, according to a team of researchers from France, Italy and the US whose findings are published in the Journal of Geophysical Research. The group believes they have found evidence of both the ocean and the impact crater that spurred the tsunami — something other scientists have failed to do for several years, according to Phys.org. 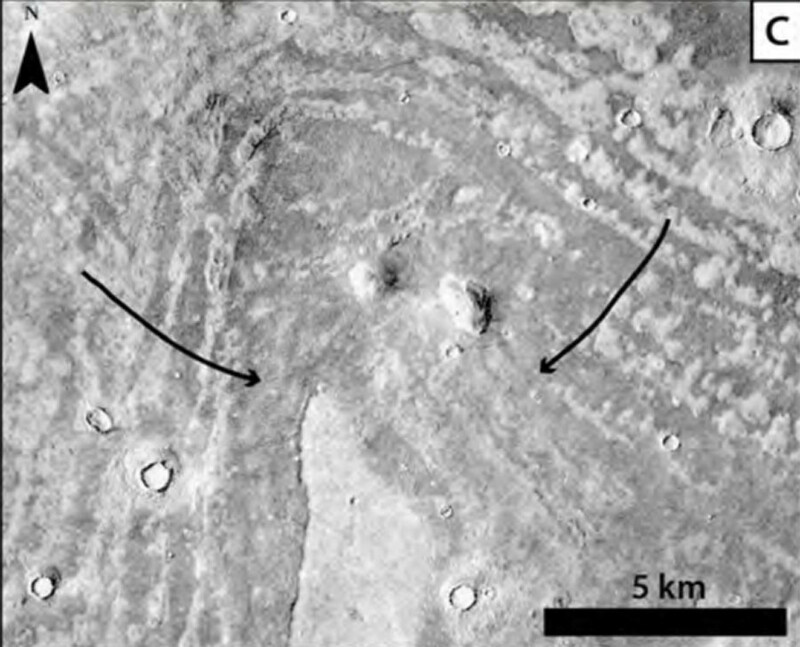 High-definition images of Mars have previously shown remnants of ancient flooding. 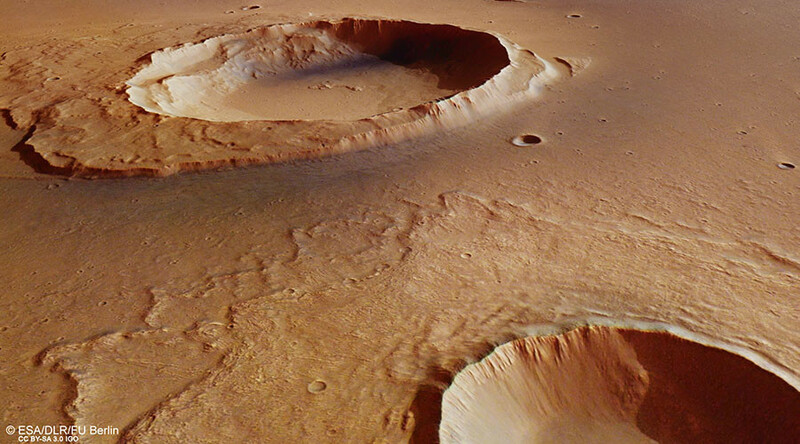 While earlier research had uncovered a “thumbprint terrain” in northern Arabia Terra on the martian planet, the team says it was caused by huge tsunami waves and cite the Lomonosov crater as evidence to that effect. The research suggests an impact from an asteroid in a northern ocean generated waves hundreds of feet high, creating a tsunami that left huge deposits behind. The tested their hypothesis by mapping lobate deposits and using numerical modeling to identify the most probable crater. Their theory was backed up by further testing regarding the origin and location of the thumbprint terrain in relation to the supposed tsunami, and the age of the deposits. 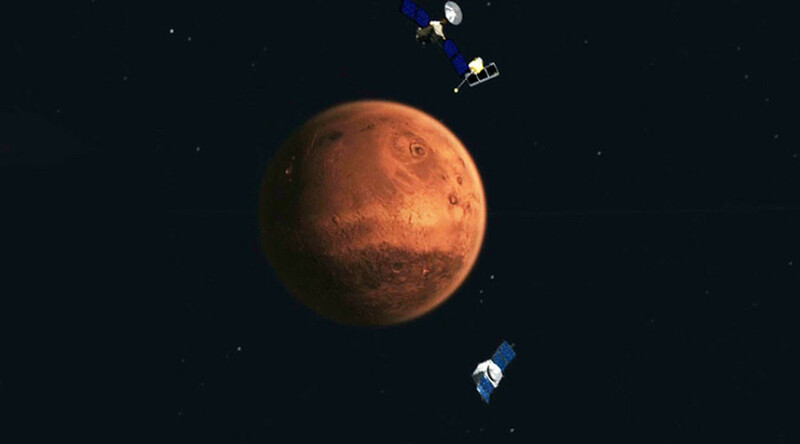 Combined, the data “provides evidence of the existence of Martian ocean as recently as Early Amazonian, which has implications for understanding the volatile inventory Mars, as well as its hydrologic and climatic evolution, and the potential for the origin of survival of life,” the researchers wrote. The void from the impact was rushed with water, filling quickly and eventually creating a secondary tsunami wave that soon followed the first and created the thumbprint-like ridges left on Mars today.